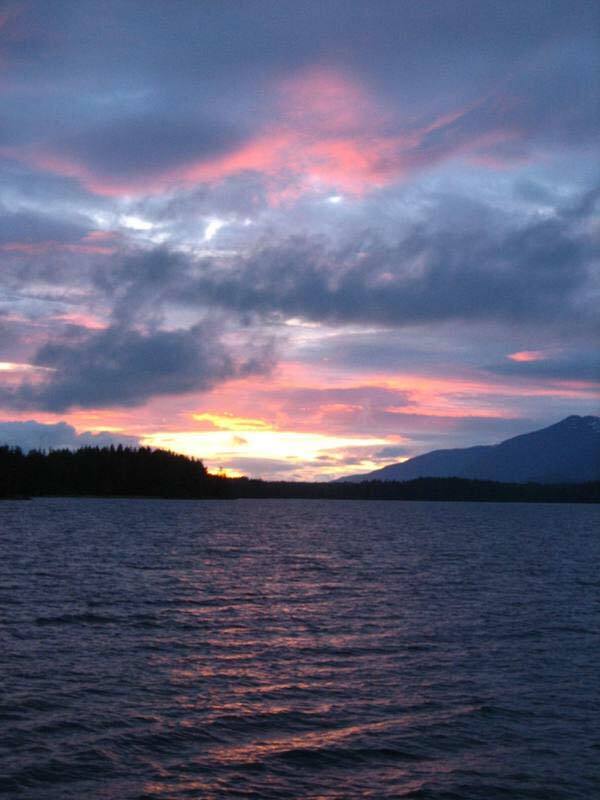 Posted on September 24, 2011 by Kaci H.
Now that there is a small window of clear weather I am able to go out on one of the small boats called a skiff. This boat holds about 8 people max and is mainly being used to move people and equipment around to the different stations. The night before I was scheduled to leave I learned that my task on this outing was going to be reading the tide staff every six minutes for 3 hours. I know the initial reaction might be, “Why would you want to do that?” Well, it is actually really important for the data that we are collecting. When the equipment (primary benchmark, tide gauge, tide staff, orifice, etc.) was placed on Block Island this allowed the scientists to be able to know what the actual water levels would be for the launches when they head out. This in turn, is important because the height of the water levels will affect the data that is being collected on the launches (survey boats). The first few hours started giving us pretty good data, but then we stopped getting anything at all. We had been hit by a storm so numerous scenarios were being brainstormed so we could be prepared for anything that we might find when we got there to fix the problem. We traveled from the Rainier to Block Island, which was about 19 miles away. 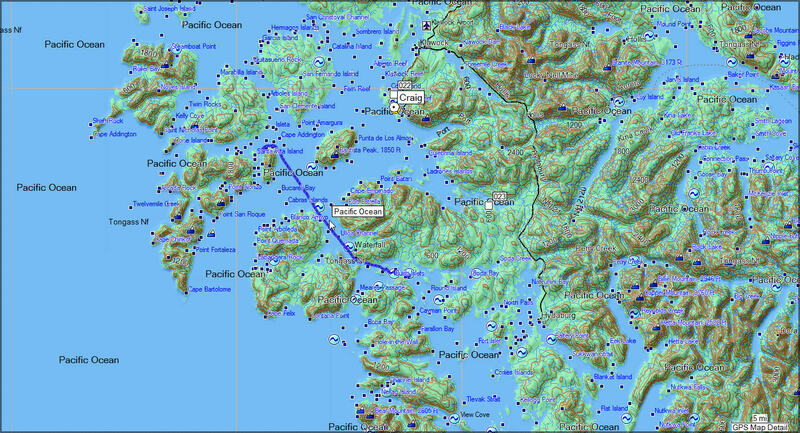 When we got there the tide staff was in good shape and even the antennas and GPS looked good. However, upon further inspection they found that there were glitches in the software files that had made it stop collecting data. Once they got it going again, my partner Starla, and I went straight to work collecting the high and low wave of the tide. We then used this data to calculate the mean (average) of the two. We had to collect this data every six minutes for three hours because that is the same data that the tide gauge is collecting. 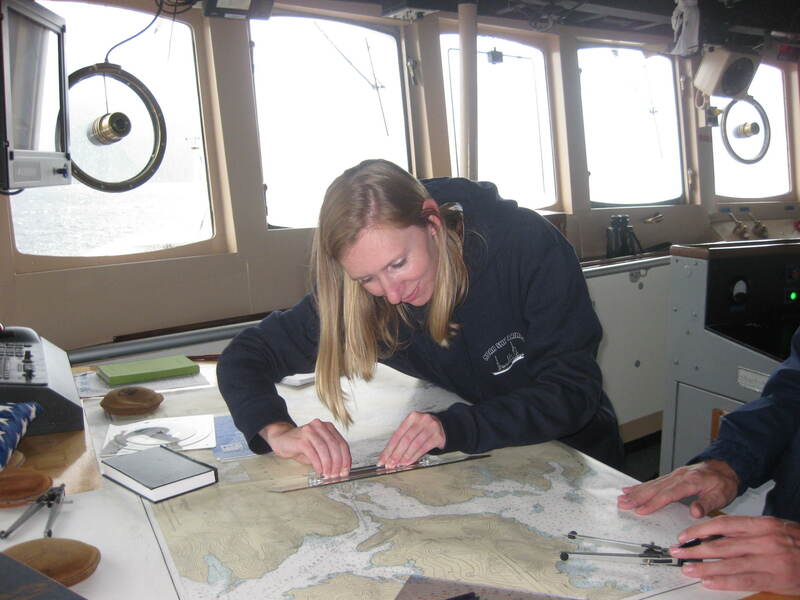 We had to use GPS time–which was the same as the tide gauge–and not our own watches. This is because we needed the same time stamp for the data, which allows the scientists to see that the data was collected at exactly the same time. Scientists can then look to see if the data we collected and the data the tide gauge collected are the same or if there are errors. Then, they can see if it was human error or if something is still wrong with the tide gauge. These first three hours were very important for the data collection, but the scientists will continue to monitor the station every three to four days for one hour throughout the month to make sure it is collecting data properly. 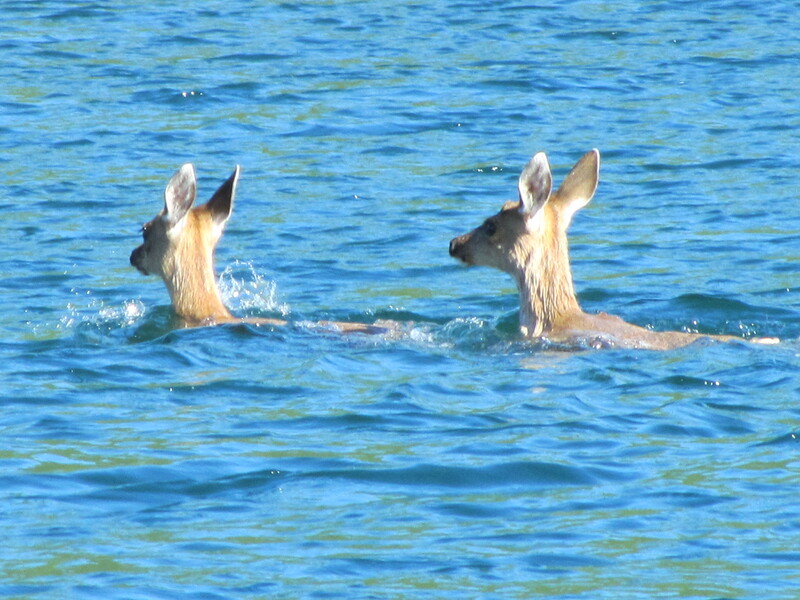 As we collected the data, one of us would watch the clock while the other would very intently watch the tide staff. 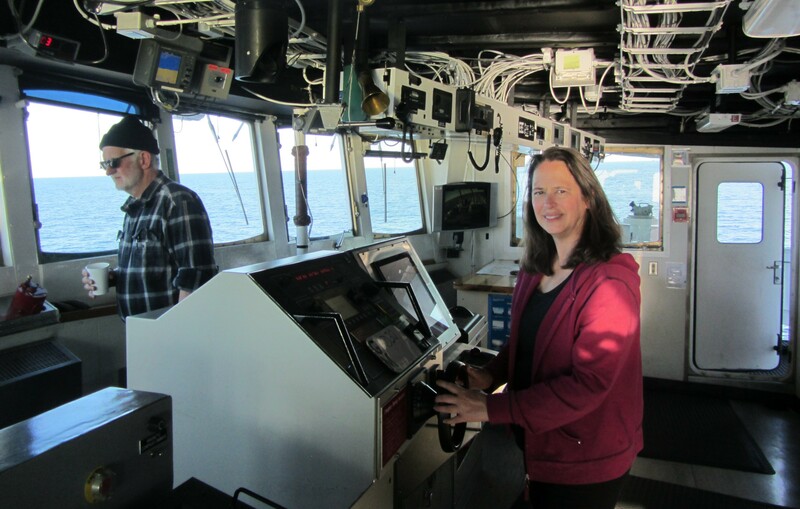 Once it would come to the time we would have to collect the data she would say “Mark!” and that would be my cue to note the high and low of the wave against the tide staff. I would tell her my observations up to four digits, such as 1.967 meters. However, because we would use quick observations to collect our data, our precision would probably be only to three significant figures. Significant figures are digits of a number that carry meaning and factor into its precision. Starla would record the data and then we would wait six minutes until the next time to make our observations. 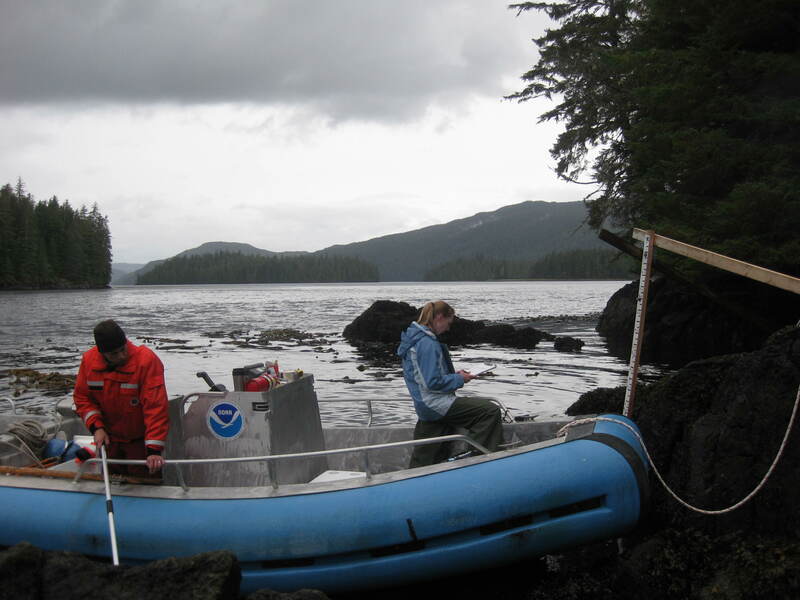 When we were done, we downloaded the data from the tide gauge, packed up the skiff, and head back to the Rainier. 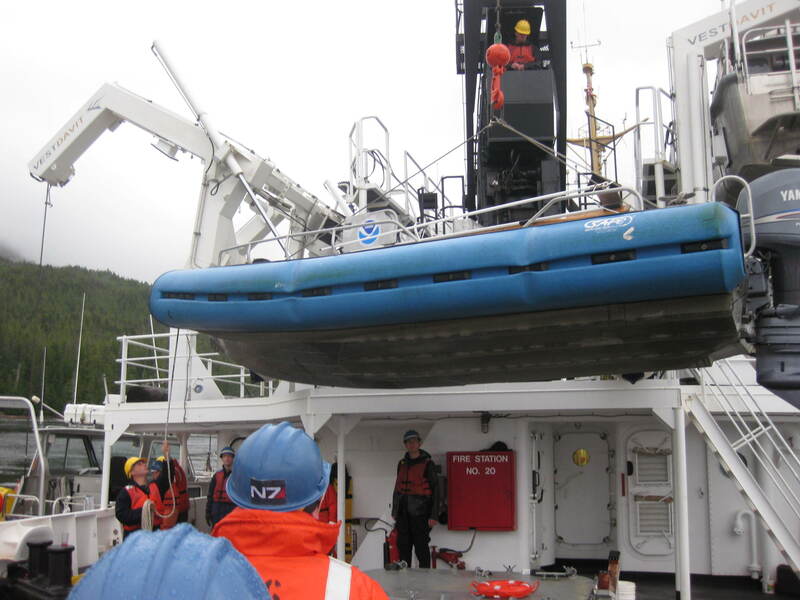 Overall, it was a really great day being able to collect this important data and contribute to the mission of the ship. Math, math everywhere!! Since the first day I have been on the Rainier I have seen math being used all day, every day. Even though I don’t specifically teach math I do integrate it within science and social studies. However, I have heard from students, “Why do I have to learn this?” in regards to their math homework. There isn’t always enough time in the day to give a thorough explanation of how different math skills are used in the real world. 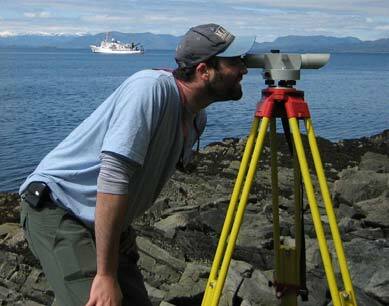 However, from my past NASA experiences and now with NOAA on the Rainier, I am here to tell you that once you enter the real world, especially if you enter a science, math or engineering field, then you will be immersed in math. It will become a part of your daily routine without you really realizing it. One place where math is used constantly, and is also one of my favorite places on the ship, is the bridge. 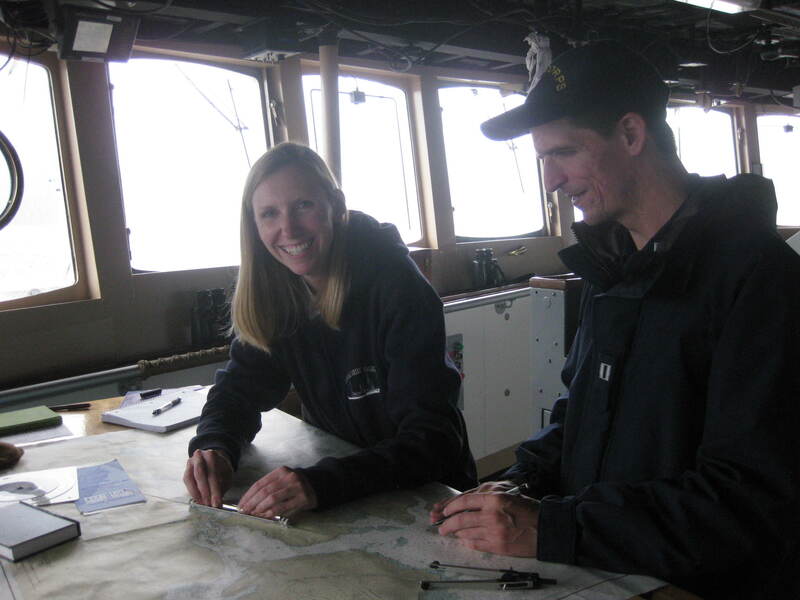 Math is used in navigation, such as setting a course, calculating distances, speeds, and times. I also got some practice with calculating radar ranges, which can give the officers their location based off of 3-4 points of land nearby. GPS is being used all day, every day and there are multiple GPS systems in case one fails. 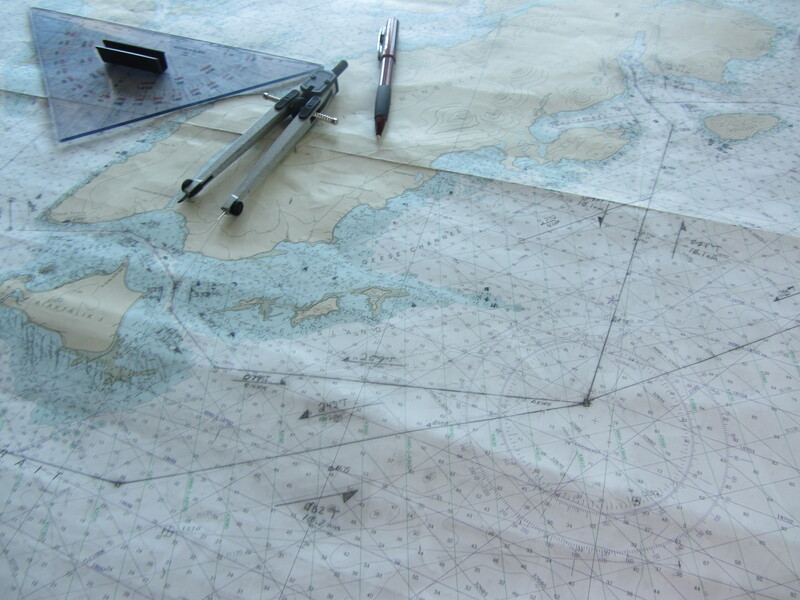 Again, the officers use this information in their calculations throughout the day while we are at sea. When I have been collecting weather data on the bridge math is being used to calculate the wind speed and direction. Then there are conversions being calculated because some of the charts are in meters, some are in feet, and some are in fathoms. 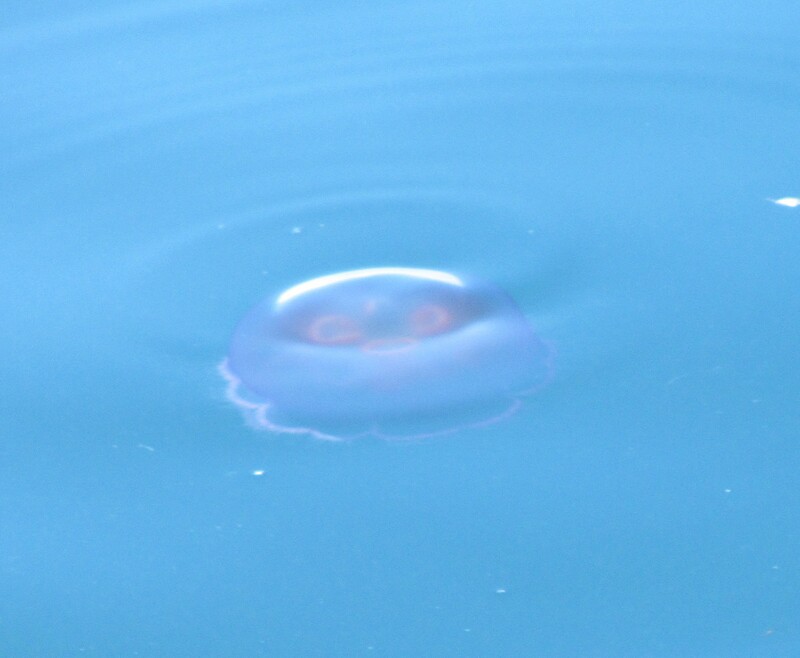 A fathom is used more for deeper water because 1 fathom equals 6 feet. Because these are dealing with depths it is very important to make sure the conversions are correct so that the ship stays safe. Then of course there is math used in other ways on the ship. 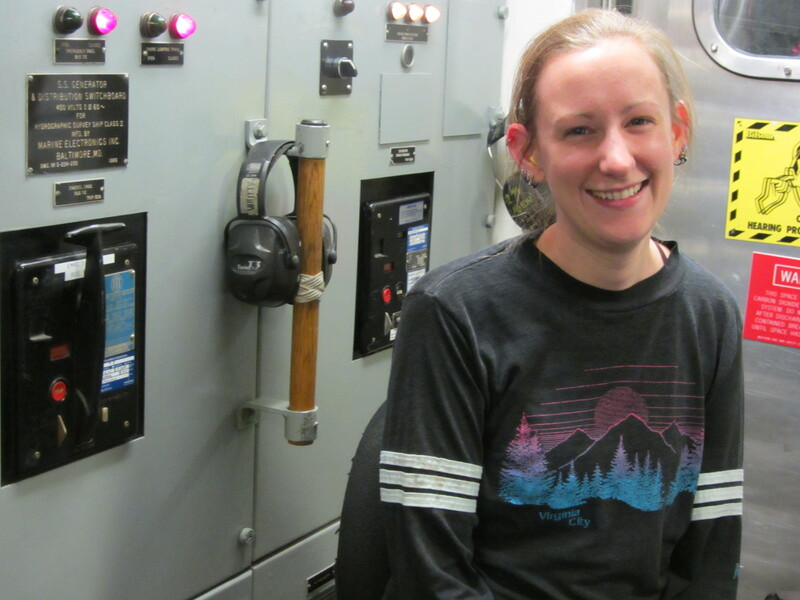 For example, the Executive Officer (XO) has to work with the ship’s budget, the cooks work with measurements in the galley, and the scientists work with math formulas as they process the data in their projects. Overall, I highly encourage my students and any other young minds that are reading this to do your best in math and ask for help if you need it. 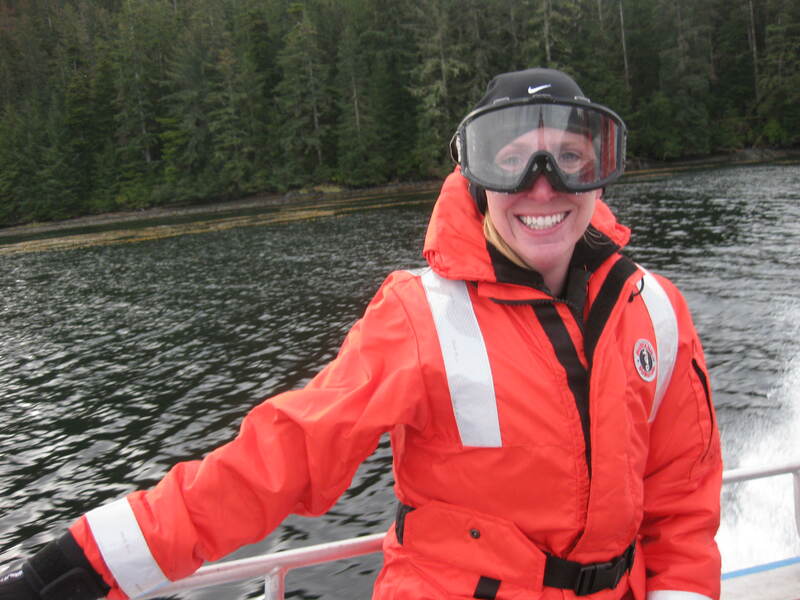 It can be an intimidating subject area at times, but if you want to work for NOAA, be a scientist, or engineer then it will be an important part of your job. Once you have an idea of what kind of job you want to have when you get older, try to find out what kind of skills you need to have and start early. See how the math is used in the real world, the job you are interested in, and learn how to have fun with it! 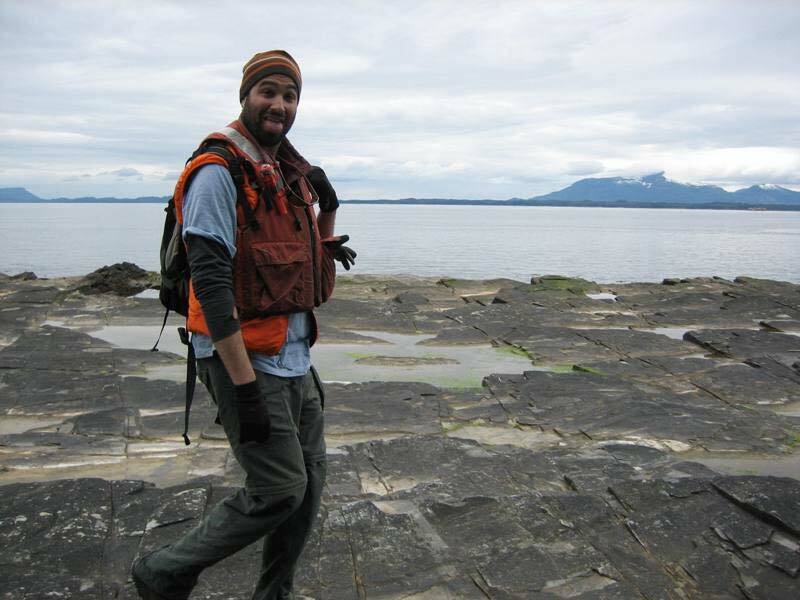 Me standing on the rocks, making tidal observations. 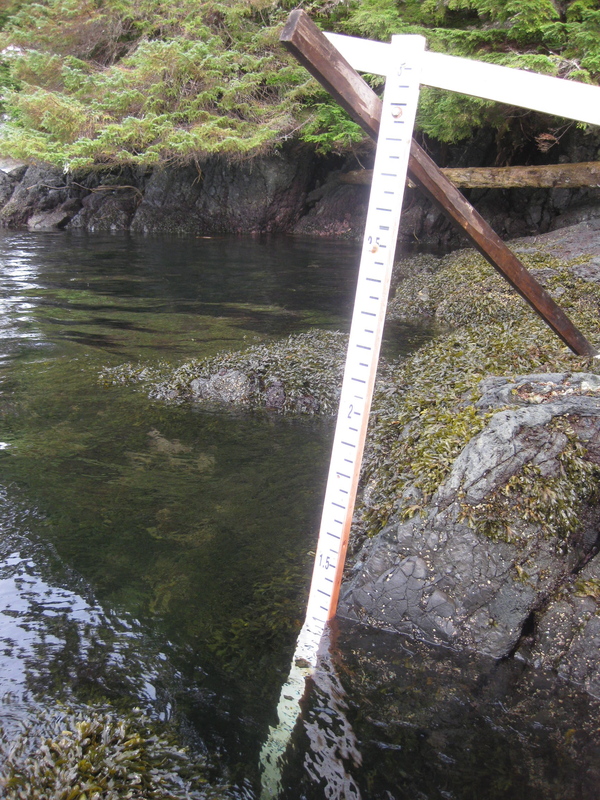 On Saturday morning I went out and made observations at a tide gauge in Customhouse Cove. We took measurements over a three hour period every six minutes for a one minute interval. We used a pair of binoculars to read the tide staff, which was about 20 feet away, to the nearest millimeter. The purpose of taking this reading over a period of one minute is because the water is constantly moving both toward the shoreline and away from it. This interval ensures that you can get the most accurate reading as possible. On Sunday, I again went out on a small launch boat. This time we needed to complete a few more holidays using the multi‐beam sonar, then we went to two small islands, Smeaton and South Twin, to recover the GPS (global positioning systems) base stations. 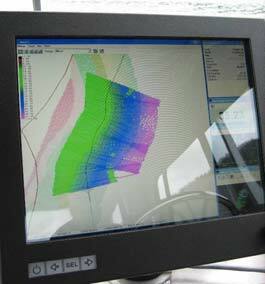 Computer screen,showing live acquisition of multi-beam SONAR data from one of the holidays. 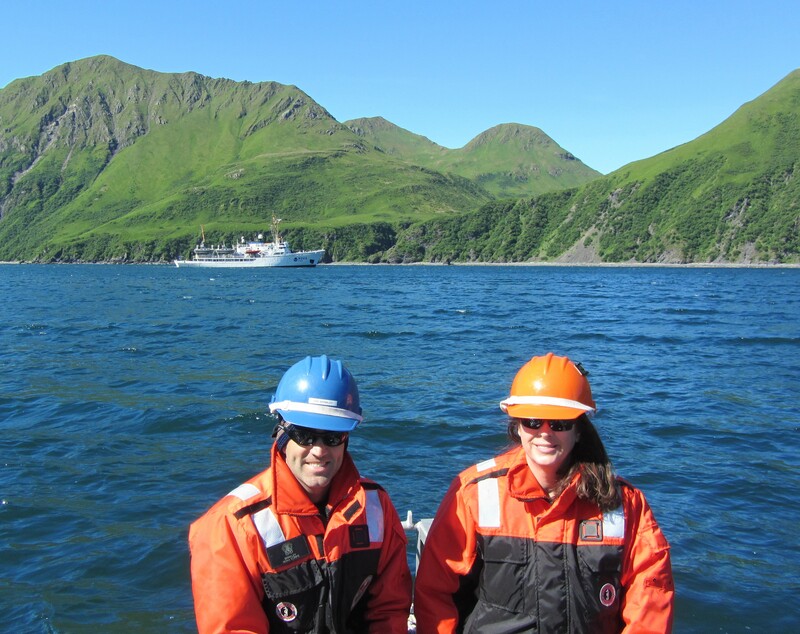 The GPS base station data is recorded daily, while the survey project is underway. 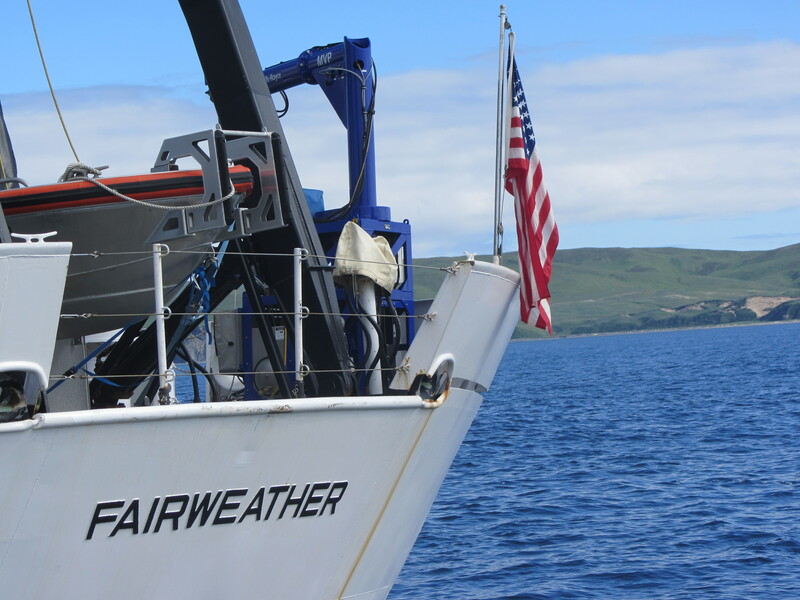 The data is then uploaded during the processing phase and used to correct the precise position of the Fairweather and its launches to within a few centimeters of accuracy. This allows the survey technicians to know the exact horizontal position when all of the data was collected by the multi‐bean sonar. Sunday was the last day that data was collected on this project, and that is why we recovered both of the GPS bases stations. 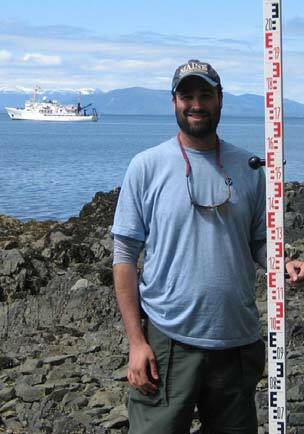 When the tide gauge was established for measurements, during April of 2010, a three hour period of observations was made, similar to what I did on Saturday morning. In the time since April, observations are to be made each week for at least 1‐2 hours. Due to the remote nature of some of the tide gauge locations this is not always possible. The purpose of the observations of the rising and falling tide is to establish the vertical location of the tide gauge sensor, which is submerged below the surface, in relation to the tide staff. These observations help in correlating the height observed on the tide staff, with benchmarks that were previously installed by the Fairweather crew along the beach. Maritime activities throughout the world depend on accurate tidal and current information for safe operation. 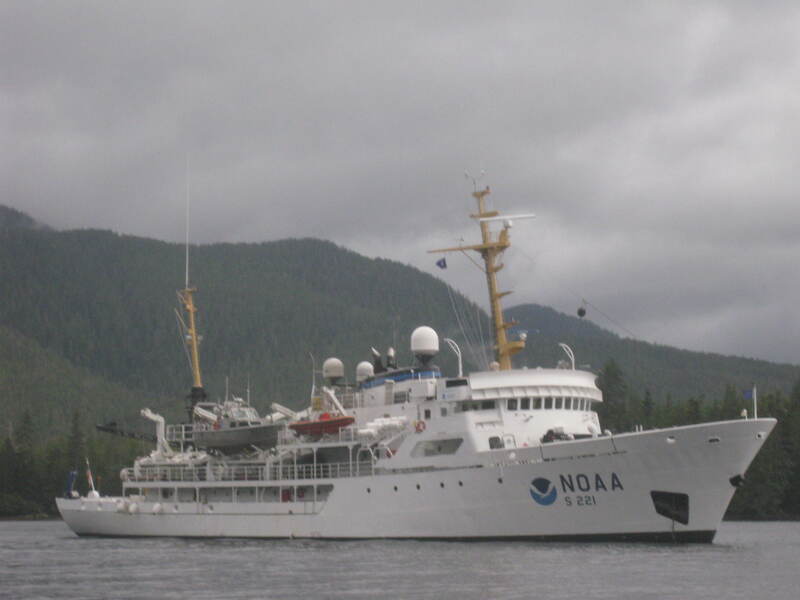 NOAA’s National Ocean Service collects studies and provides access to thousands of historical and real‐time observations as well as predictions of water levels, coastal currents and other data. Ocean tides move in response to gravitational forces exerted by the moon and sun. Since the moon is much closer to the Earth it is the dominant force that affects Earth’s tides. Whichever side of the Earth is facing the moon experiences a greater gravitational attraction, and the oceans get pulled towards it causing a bulge. 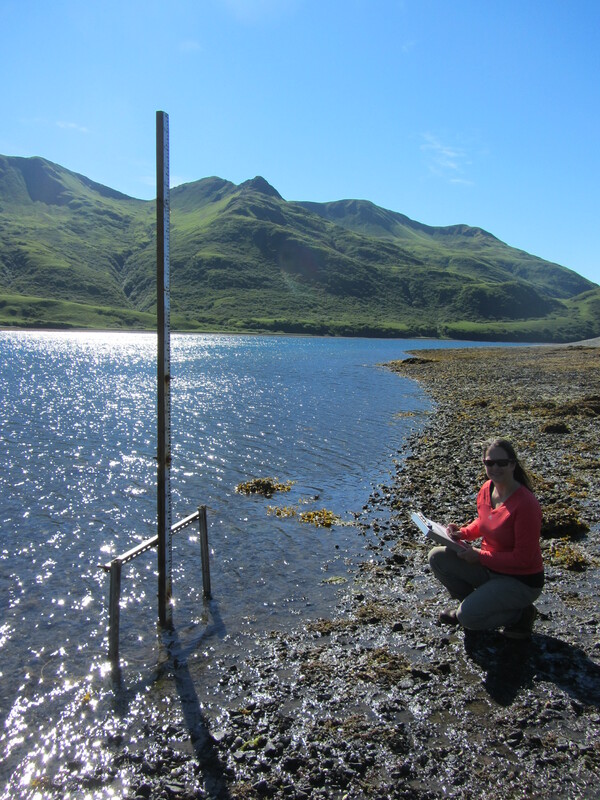 Me, holding the rod for leveling measurements (with the Fair weather in the background). 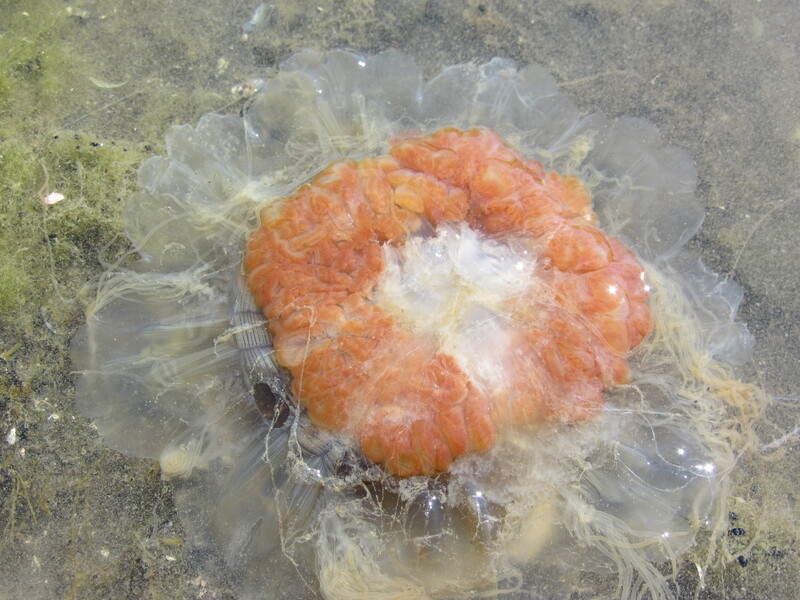 tide occurs; low tide corresponds to the lowest part of the wave, or its trough. The difference in height between the high tide and the low tide is called the tidal range. 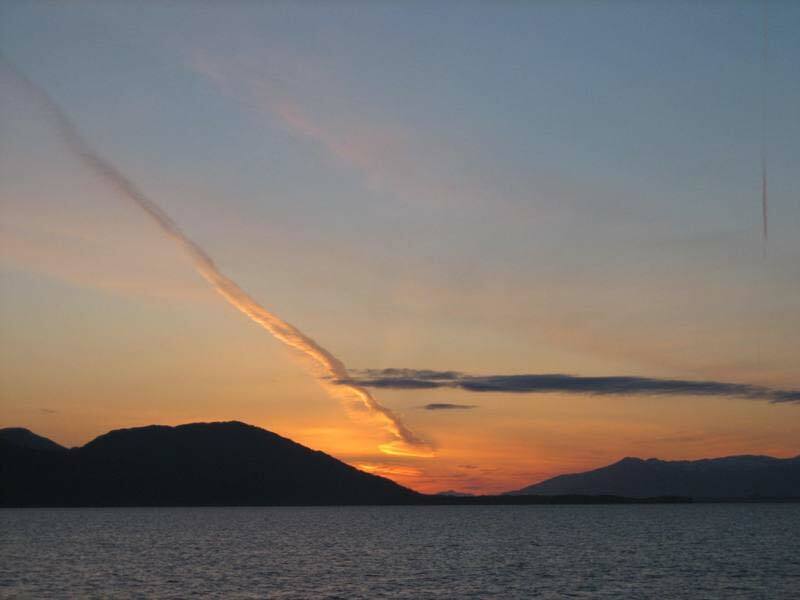 Here, in SE Alaska there is almost a 15 feet difference between high and low tide. Me,reading the level off of the leveling rod(again with the Fairweather in the background). 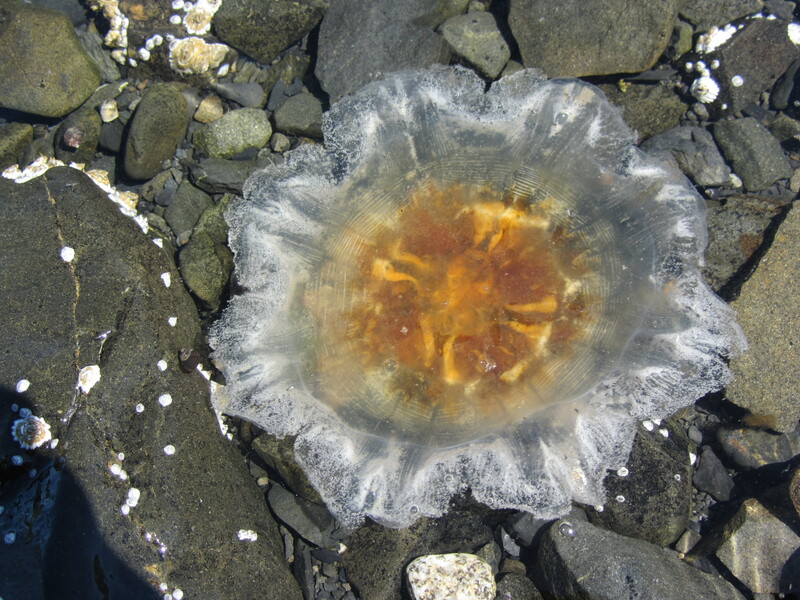 Most coastal areas, experience two high tides and two low tides every lunar day. Almost everyone is familiar with the concept of a 24‐hour solar day. A lunar day is the time it takes for a specific site on the Earth to rotate from an exact point under the moon to the same point under the moon the next day. 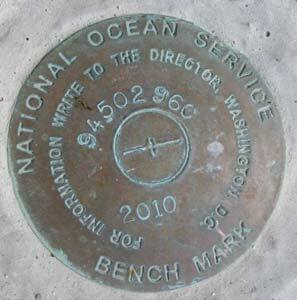 One of the benchmarks on the beach. On Saturday afternoon, we went back to the tide gauge to take elevation levels of five benchmarks on the beach. 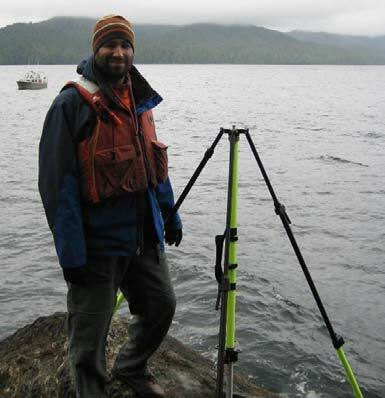 The purpose of these measurements is to establish a vertical height of the tide gauge with five existing benchmarks. When the gauge was started in April 2010, the same measurements were made. We verified that the opening and closing measurements were within an acceptable range. After taking height measurements, I helped take out one of the prototype tide gauges since the data was not needed anymore. The regular gauge was later removed on Sunday. 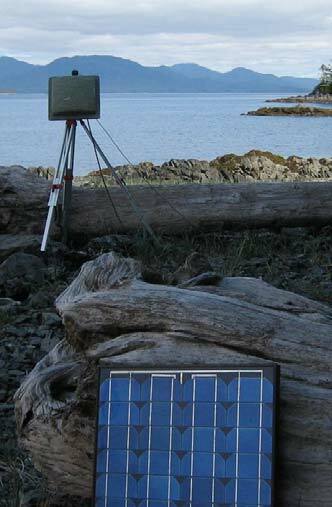 Part of the tide gauge instruments, solarpanel, GPS transmitter. I was able to help out with these height measurements by holding a rod on top of the benchmarks, while another member of the crew looked through a scope and read the levels off of the rod. We also documented the entire site by taking photographs. The weather on Saturday was probably the best I have had in SE Alaska so far. It was sunny and in the low 60’s. I learned a few days ago, that when you are out at sea and it is sunny you need sunscreen and a baseball hat in order to not get sunburn. As I told you, on Saturday morning I was dropped off by a small boat to observe the level of the tide. Nothing too exciting, but the weather made it just fine. Since we were very close to the ship, I was able to come back on and have “hot” lunch rather than sandwiches and stuff. In the afternoon, we went back to the same tide gauge and I helped out with elevation studies is the easiest way to say it. This was better than the morning for me. In the morning one other guy and I were literally dropped off on a barely exposed rock just offshore from the tide gauge. When we started there was water between the two of us, but we knew the tide was dropping so we were fine. However, we were sort of stranded there until the small boat picked us up for lunch. We had to take levels of the water every six minutes. Sounds boring but it went by rather quickly. 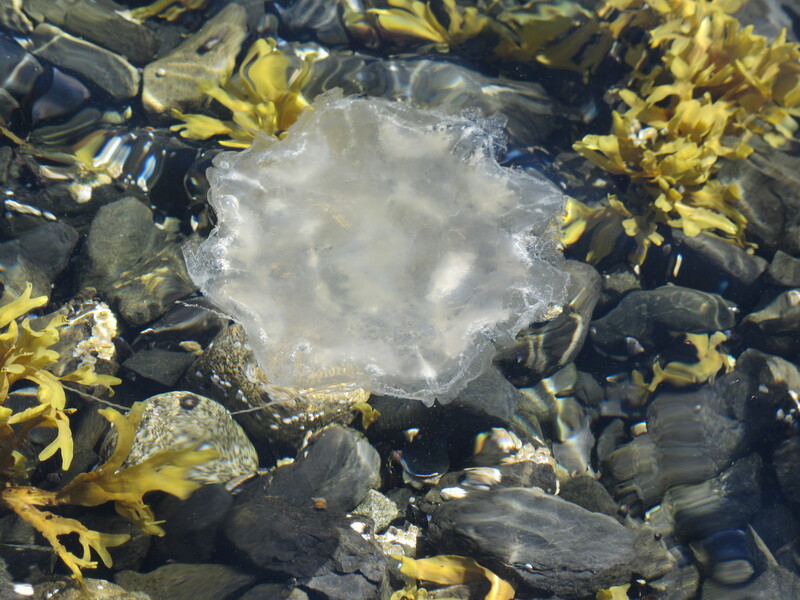 As the tide dropped small tidal pools were exposed and I was able to explore. 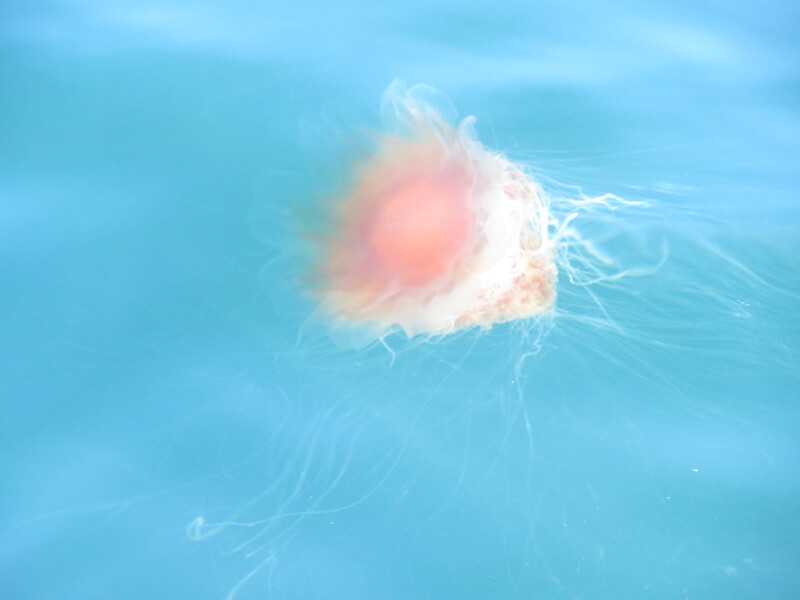 There was tons of sea life. It reminded me of Point Loma near San Diego, where I vacationed once. 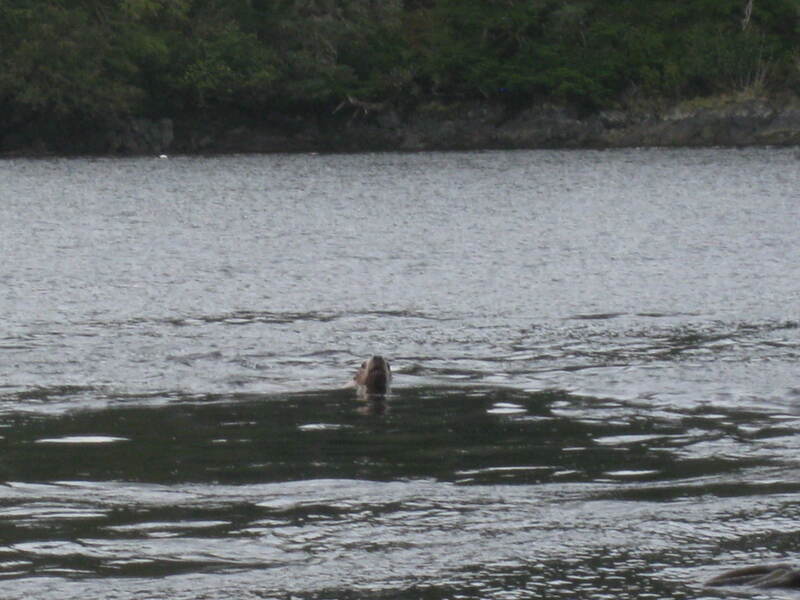 While we were there, of course there were bald eagles and even a few seals. In the afternoon we actually went onto the beach and I got to explore a little. First time on land since Ketchikan; which we are still very close to. I was in my full on geologist mode, breaking and smacking rocks to see what they looked like on the inside. I saw some cool stuff, possibly some small flakes of gold, garnet crystals, and maybe some silver flakes. The captain (CO) also came along with us, which was pretty cool. Dinner was good. Baked potato bar, some interesting tofu dish (most people ate prime rib, very rare, uncle Jerry style), salad, and coconut lemon cake for dessert. I am getting spoiled from all this good food. I watched another amazing sunset from Customhouse Cove on Saturday (that makes 3 from the same anchor spot). Sunday, the weather was not as nice as Saturday; at least it did not rain. However I really did enjoy the day. The crew that I was with was great. We all got along very well. I was able to get onto land three times and explore and climb around on the rocks. 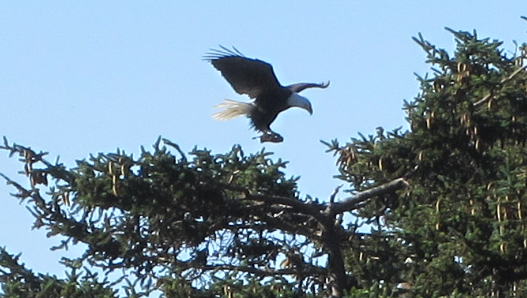 Also we saw two humpback whales, a bunch of seals, more Dall’s porpoises, and yes more bald eagles. Being able to go onshore was really special for me. I was not sure this was something I would be able to do. From here we will start making our course to Seattle. 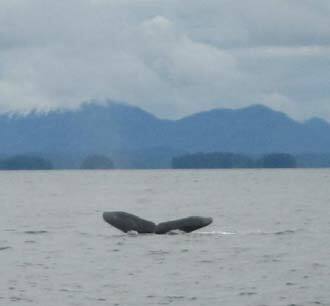 We were just told that we WILL be going through the “inside passage” which is supposed to be absolutely spectacular. I can’t wait. For now the project is almost complete. 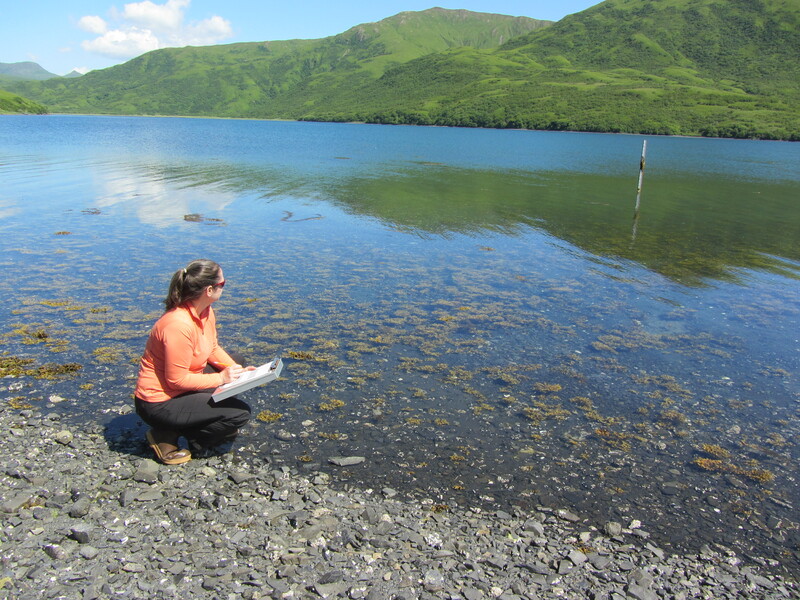 There is only a small amount of data and bottom samples that need to be collected. I am enjoying my time onboard the Fairweather. Everyone has been very nice. I have developed a routine. I get up at 0640, breakfast begins at 0700, there is a safety meeting on the bow of the ship at 0800, then if you are on a launch you leave and come back in the late afternoon. Dinner is served at 1700, then after dinner we have a debriefing meeting to discuss the day’s work and any problems that may have been encountered. As I said I have a little routine. Even the breakfast steward (cook) knows me by now. I come into the mess hall (dining area) and ask for my usual. Three scrambled eggs with scallions and cheese. I also have one piece of toast, three strips of bacon, some hash browns and fresh fruit, some coffee and orange juice. Not too bad. If you are doing survey work from the ship there is hot lunch at 1200, otherwise on the launches it is a bag/picnic style lunch. Yes I know I am getting spoiled with all of this good food. 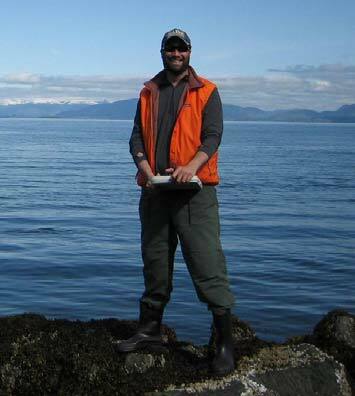 Me enjoying my time on shore.